We have touched on the topic before, that mobile phones are pretty much a necessity for everyday life. Fewer and fewer men and women are relying on landlines, or phones located directly within the home; we need to have the ability to contact and be contacted anywhere or at any time. Owning a cell phone makes our lives easier, but it is also critical for functions such as: receiving phone calls from potential employees, having emergency contacts, dialing 911 during an emergency and much more. The Lifeline program is essentially an affordable telephone service for men and women who are income-eligible; that is, if their totally income allows for acceptance into this program. Cell phone providers have costs that continue to rise each year, and newer and more expensive models of phones make the majority of them unreachable for those with lower-income. The exact date for the implementation of the Lifeline government-subsidized phone program is often up for debate, since it has technically existed throughout the terms of the last several presidents. It is more often than not referred to as an “Obama Phone” due to the programs rapid expansion during President Obama’s term of office. However, the program was initially started just before his term started in November of 2008. Some look back even further and see its initial stages built during President Clinton’s years in office, where the Federal Communications Commission authorized the Telecommunications Act of 1996, which subsidized landline phones for lower income families. Regardless of its official origins, the Lifeline phone program is run to help low-income individuals have critical access to communications networks across the country, access to health care services, job hunting services, stay in touch with family and much, much more. 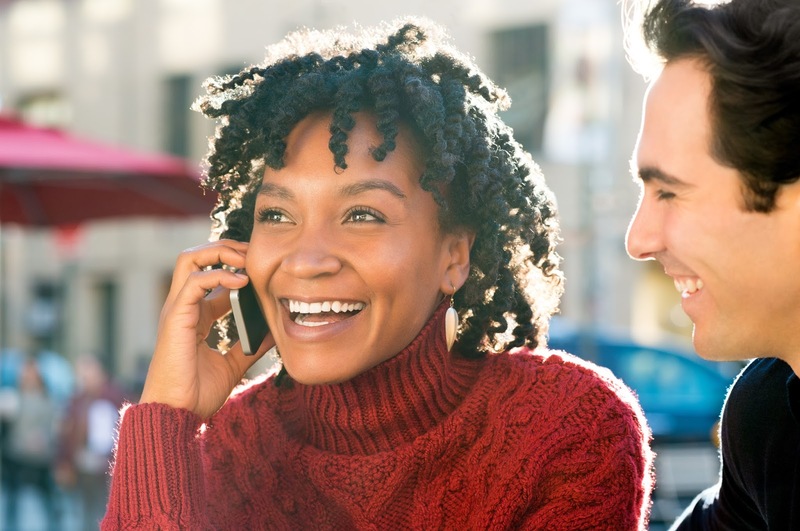 The benefits that you can receive from Budget Mobile through the Lifeline program depends on your state of residence, as each state varies in regards to an individual’s mobile phone benefits. To be considered eligible for the Lifeline program, an individual must be at or below the 135% of the federal mandated poverty guidelines, or participate in programs such as Medicaid, SNAP, Section 8, various state assistance programs and much more. As an example of what benefits you would receive if qualified for the Lifeline program, consider the state of Texas: qualified Texans through the Budget Mobile Lifeline program receive a free cell phone, 500 free minutes for the first 3 months, 500 free texts for the first 3 months, and then after the 3-month period, the individual receives 350 free minutes and texts each month. This varies state to state, but every single state participates in the federal Lifeline program, which makes it extremely beneficial for men and women who have low-income, are involved in state or federal assistance programs and cannot afford a monthly cell phone bill or mobile phone. Check out our website at www.budgetmobile.com, and apply online to determine if you are eligible for the Lifeline program for your particular state!